Last month I was talking about donating some cookbooks I had that I’d never use, and I ended up doing that last week. While I traded them in, they didn’t bring much, but it still felt good to purge a bit. Plus it helps me make room on my bookshelf for new cookbooks, and I know there are worse addictions to have than that! 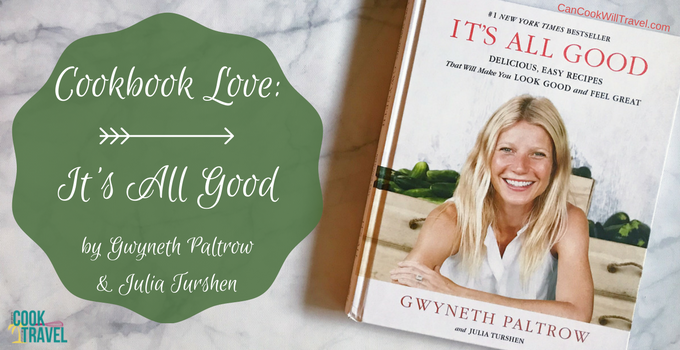 So this month I’m making room for the It’s All Good Cookbook by Gwyneth Paltrow and Julia Turshen. I honestly looked past this cookbook several times, but something had me coming back to it again and again. It’s All Good is not a brand new book, and it kept popping up on Amazon as I searched. Finally I clicked on it and started looking a bit more into it, so I could decide if it truly was a contender. Well hot damn, the more I looked at it, the more I started realizing it totally was! As I’m certainly on a mission to cook more recipes with whole, unprocessed foods, this cookbook fit the bill! In fact, the reviews were so good that they convinced me to make the purchase. The It’s All Good Cookbook arrived in no time (thank you, Amazon Prime! ), and I couldn’t wait to dive in! So let’s dive into this review, shall we?! And even though I’ve loved her work, in recent years her work with her website/company GOOP had people talking. And what they had to say wasn’t always the nicest, because her lifestyle seemed unobtainable. At least that’s the way I took it when reading anything about Goop and their ideas and recommendations. So I was hesitant to “buy into” this stuff by purchasing It’s All Good. However, what I found made me so glad that I did, because it’s a real, honest book. Gwyneth shares a health scare she had in 2011 that caused her to re-evaluate the foods she was eating and try to eat as clean as possible. And while doing that can sound daunting, boring, or even horrible, she’s gone out of her way to create quite the opposite with her recipes. These are recipes she and Julia, her friend and parter in crime with this cookbook, tested until they were perfect. And yet you won’t find processed foods, and they even provide their own recipes for processed foods we use a lot. I can’t wait to try those out and have some clean sauces of my own! This book starts out with a foreward by Dr. Habib Sadeghi, an osteopathic physician in LA. And even though I knew nothing about him, his writing reminds us that food is here to feed both our minds and souls. We have a connection with food on a soulful level that nourishes us and brings joy to our lives, and I loved reading his thoughts. Next is an intro first by Gwyneth, who tells us about her health scare and what transpired. 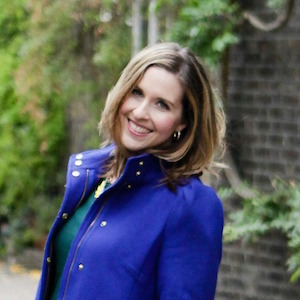 Her journey into healthy eating and revamping her and her family’s relationships with food clearly illustrates why she wrote this book. Then we learn about Julia Turshen, who Gwyneth met on a shoot in Spain, and how the theories and style of cooking in this book transformed her health and her life. Powerful stuff right there! Gwyneth explains how to use the book, what different icons mean and how to use recipes if you have allergies or dietary restrictions. Then it’s onto the pantry to learn what products show up in the recipes and why they chose those ingredients. And then the book OVERFLOWS with pages and pages of recipes, so you get right to the good stuff! The food chapters include Morning Time, Salads + Dressings, Soups, Birds + Meat, Fish, Vegetables, Grains, Some Drinks, Recipes for Kids, Sweet Tooth recipes, and then the Basics. The final section of basic recipes are referenced many, many times throughout other recipes, and you can see how often Gwyneth and Julia really use them. So it’s a great sections! Finally there’s a section of weekly menus broken down by your needs: A Body Builder Week, Detox Week, Family-Friendly Week, Vegan Week, or Just Great, Healthy Everyday Eating Kinda Week. So you get to pick and choose what works for you, which is awesome! And the book concludes with a lovely index, as all cookbooks should! What’s to Love About the It’s All Good Cookbook? The Backstory is always key for me to understand where the author(s) come from. So learning the reasons for why Gwyneth and Julia began eating this way makes me know they enjoy these dishes. 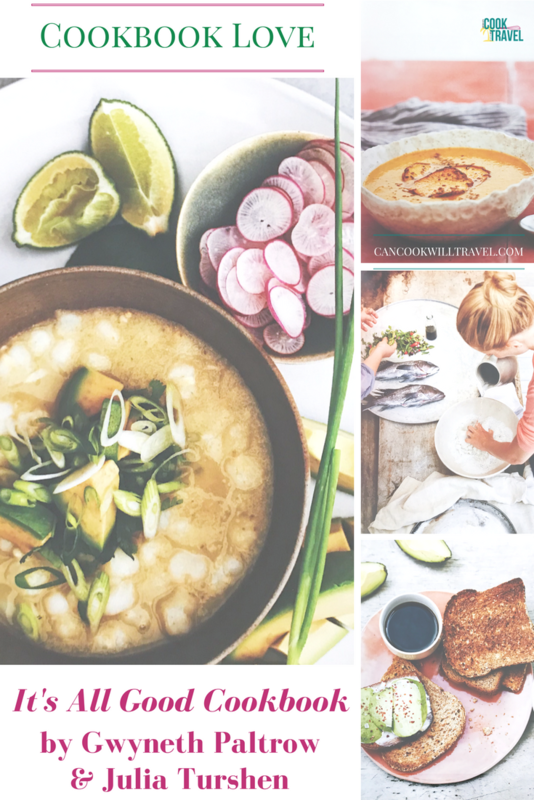 Photography creates the vibe of a great cookbook, and this one showcases clean, healthy recipes that look delicious. Plus you get some glimpses into the authors’ lives. Tips on Ingredients like brands and where to purchase them makes a huge difference in making a recipe relatable. Each recipe contains a blurb at the beginning that provides tips or a story that helps me decide if I want to cook that dish! Repeating Ingredients in unique ways is pretty cool, so you’re not purchasing some random ingredient that gets used once. This book is down to earth and not at all pretentious like I feared it might be. I mean all the stuff I’d read in recent years had me wondering what I’d find, but it’s totally relatable. I love the Basics Chapter, because I like the idea of making my own sauces so I know exactly what’s in them. Weekly Menus create a fun way of taking the recipes and implementing them into your daily life. Leftover Quinoa, Two Ways – Because I always have cooked quinoa on hand! Avocado Toast – The recipe couldn’t be simpler and avocado toast is something right up my alley! Sweet Potato + Five-Spice Muffins – They sound divine with warm spices and healthy goodness, so these look like a must! 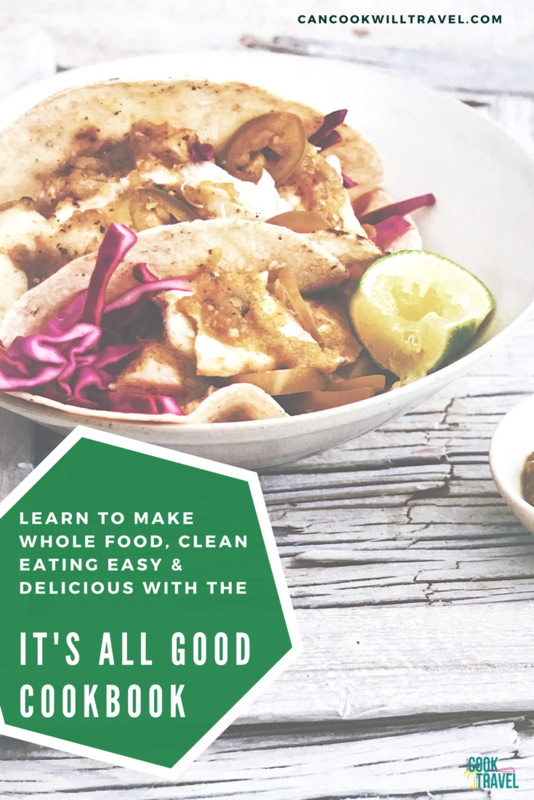 Mexican Chopped Salad with Mexican Green Goddess Dressing – Because everything about the salad sounds delicious! That dressing especially sounds fab! Japanese Restaurant-Style Salad with Carrot-Ginger Dressing – So I’m a sucker for Asian flavors, and the dressing combines fresh veggies and toasted sesame oil among other things! Mango + Avocado Salad with Balsamic-Lime Vinaigrette – This dish sums up my favorite flavors, so I must make it ASAP! Chicken Soup with Kale + Carrots – Sounds just like a lovely chicken soup for the warm months, so sign me up! Spicy Sweet Potato Soup with Chipotle + Coriander – Um, everything happening in this recipe is making me drool! Easiest Posole – So I’m unsure what posole is, but with tomatillos, jalapeños and hominy, I’m pretty sure I’ll love it! Teriyaki Chicken – Because this one sounds completely delicious! Turkey Meatballs – I love spaghetti and meatballs, so yes to a healthy meatball recipe! Middle Eastern Turkey Burgers with Cucumber + Yogurt Sauce – I love turkey burgers and one with Middle Eastern flavors sounds fabulous! Grilled Steak with Melted Anchovies + Rosemary – I’ve been afraid of anchovies honestly, but cooking with them intrigues me these days. Salmon with Lee’s Sriracha + Lime – Because I love salmon and Sriracha! Crazy Good Fish Tacos – Fish tacos make me happy, so this dish needs to happen. Spicy Brussels Sprouts – Yes, yes, and yes, because I heart Brussels Sprouts. Broccoli Rabe with Garlic + Red Chili – Because I enjoy broccoli and an excuse to add pepper flakes to my food! Quick Cucumber Kimchi – So that I can make my own kimchi, which sounds awesome! Stir-Fried Brown Rice with Nori + Black Sesame – Because I love brown rice these days as the flavor tastes delicious! Bernardo’s Pumpkin Pie Shake – So how on earth does this shake not sound delicious?! Banana “Ice Cream” with Sweet-and-Salty Roasted Almonds – Because I adore banana ice cream and any variation I can find! Lee’s Sriracha – This one intrigues me so, since Sriracha regularly plays in my kitchen. Super-Spicy Tomatillo Salsa – Because salsa verde make Kelli oh-so-happy! Um, that list is CRAZY long, and I skipped over SO many insanely good-looking recipes. So if you’re looking for healthy recipes to feed your family and feel great about, pick up It’s All Good. Truly, I’m thrilled that I’ve added this cookbook to my collection, and can’t wait to start making stuff from it. 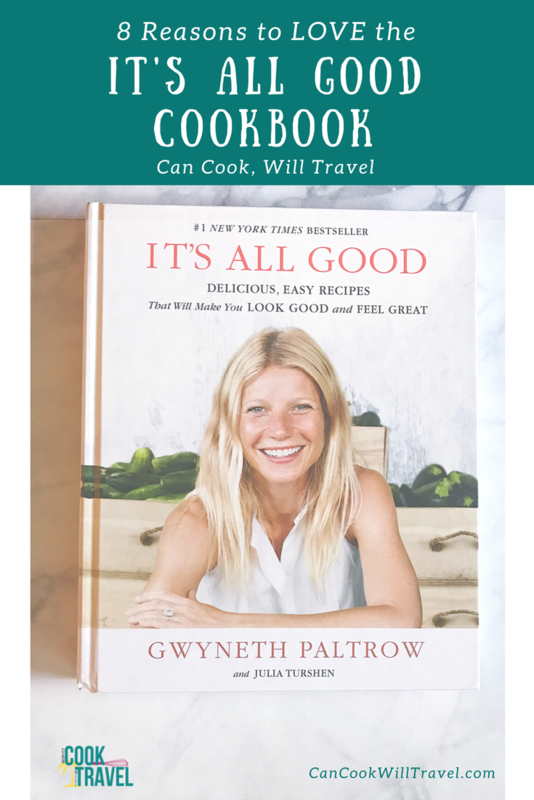 What is it that sounds most delicious to you, and have you tried any of Gwyneth’s healthy recipes before? Comment below and let me know your thoughts on the It’s All Good cookbook if you’ve read it or why you want to pick it up now! Stay inspired & cheers to healthy cooking with ease! Previous Post: « Chipotle Steak Fajita Tacos Totally Happened!